This week the Dolan School of Business hosted the first annual Lip Sync Battle as part of the School’s Week of Service events. Students packed Alumni Hall to see student, faculty and staff go head-to-head and battle it out for first place. Proceeds raised were collected to benefit Hole in the Wall Gang , a camp founded by Paul Newman that creates fun and friendships for ill children and their families. 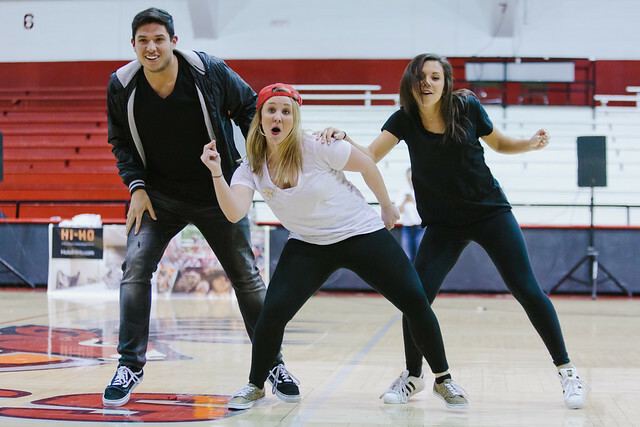 The winners of this year’s Lip Sync Battle are Corey Novak, assistant director of Undergraduate Admission, Nicole Lambi ’17 and Damian Rosales ’17. Tim Johnston ’18 and Matt Ragone ’18 took second place. Check out all of the excitement from the competition.